James A. Bryan III, MD is certified by the American Board of Ophthalmology and specializes in cataract surgery and laser vision correction such as LASIK, Clear Lens Exchange and PRK. 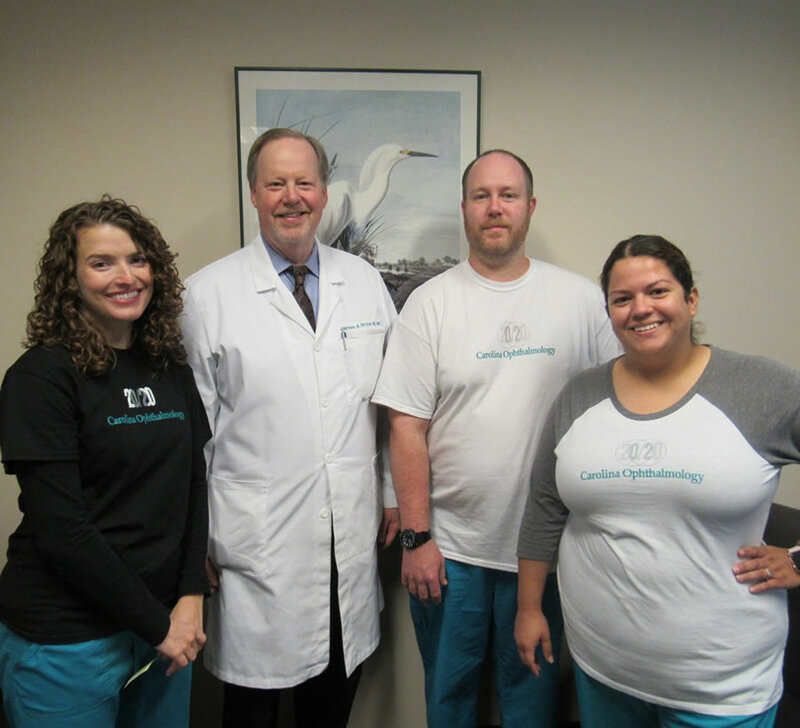 He was also the first surgeon in the area to be certified to implant the latest multifocal intraocular lens, ReSTOR®. Dr. Bryan graduated from the University Of North Carolina School Of Medicine in 1983. He completed an internship in Internal Medicine at the Washington Hospital Center, Washington, D.C.
Dr. Bryan completed a Research Fellowship in the Department of Ophthalmology of the University of Virginia Health Sciences Center, then completed residency in Ophthalmology in Charlottesville. Dr. Bryan is one of the most experienced LASIK surgeons in the triangle area having performed vision correction surgery since 1993. His training includes Radial Keratotomy (RK), Astigmatic Keratotomy (AK), Photorefractive Keratectomy (PRK), and LASIK. He is certified with both the Summit and VISX Excimer Lasers and has become a leader among his peers in corneal refractive surgery. Dr. Bryan directs the Refractive Surgical Services for Carolina Ophthalmology Associates and Alamance Eye Center. Dr. Bryan’s experience with the Excimer laser greatly benefited senior residents as they began to learn LASIK and trained under him. Dr. Bryan grew up in Chapel Hill, where his father is also a physician. In his spare time he enjoys traveling, cooking and scuba diving.